Rapeseed-mustard belongs to the Brassicaceae family and is an important group of oilseed crops, used as spices, medicine and as a source of edible oil since ancient times. Brassica seed meal could be highly regarded as an important component of human nutrition and animal feed due to its good protein content (45-48%), desirable amino acid profile rich in lysine with adequate amount of sulphur containing amino acids and low antinutrient content. The defatted meal is a rich in bioactive principles responsible for health protection such as tocopherol, glucosinolates, phytic acid, carotenoides, folic acid, ascorbic acid, polyphenols and flavonols. The seed meal is characterized by appreciable antiradical activity along with better meal stability properties. The antioxidative properties of edible portions of Brassica are due polyphenolic components. 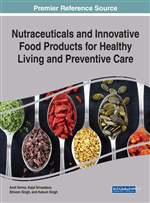 The present review focused on literature available from the neutaceutical component of Brassica meal and its antioxdative properties. Rapeseed-mustard belongs to the family Brasicaceae or Cruciferae, consisting 350 genera and 3,500 species (Sasaki & Takahashi, 2002), are important oilseed crops and currently ranked as the world’s third important oil crop in terms of production and area. The annual production of Rapeseed-mustard is 63.04 million tons of seed from an area of 34.33 million hectare (FAO, 2013). India is among the largest producer and consumer of vegetable oils in the World. Indian vegetable oil economy is the fourth largest in the world next to USA, China and Brazil (Singh et al., 2012). India is the second largest rapeseed-mustard growing country after China, occupying 20.23% area and contributing 11.7% share to the global production (Kumar, 2014). Rapeseed-mustard oil in India contributes 26.5% to the total domestic edible oil production (DRMR, 2013). In India, Rajasthan is the largest producer of mustard in the country which alone contributes 43% to the country’s total mustard seed production followed by Uttar Pradesh (14%), Madhya Pradesh (11%), Haryana (8%), West Bengal (6%), Gujarat (4%) and other states contribute (14%). India produces around 65 lakh tonnes of rapeseed-mustard seed and around 26 lakh tonnes of rapeseed- mustard oil and 35 lakh tonnes oil cake (Mustard Seed Survey Report, 2014-2015). Brassica species are highly regarded for its nutritional value. Almost all parts of the species have been developed for food, including the root, stems, leaves and seeds. Brassica seed meal could be highly regarded as an important component of human nutrition and animal feed for its good protein content, desirable amino acid profile and low antinutrient content (Punetha, Chandra, Bhutia, Triphati, & Prakash, 2015a). The oil extracted from mustard seeds is an important dietary component, especially in Eastern and North-Western parts of the country (Chauhan & Kumar, 2011). The Brassica seed meal (oil cake) contains: carbohydrate (14-16%), fiber (10-15%), moisture (6-8%), ash (4-6%), mineral (3-4%), vitamins (0.7-0.9%), glucosinolate (2-3%), phytic acid (3-6%), sinapine (1-1.5%) and tannin (1.6-3.1%) (Agnihotri & Kumar 2004). The impressive enhancement in production and productivity has been primarily due to the availability of improved rapeseed-mustard technology and its adoption, expansion in cultivated area, price support policy and institutional support. Despite all these developments, the country is still importing about 40% of the domestic oil needs from world’s market. Considering the population growth rate and increased per capita edible oil consumption from present 13.4 kg/annum to 23.1 kg/annum by 2030, about 102.3 million tons of oilseed will be required to cope up with the overgrowing population (Singh et al., 2012).